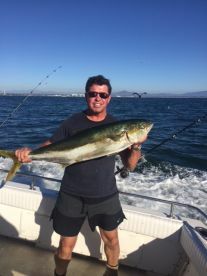 A San Diego offshore fishing experience is all about variety. From the fast-swimming pelagics to the Rockfish hiding down below, there’s no shortage of game fish in these waters. Trips can be as short as 6 hours or they can last for days on end. The fishing is so fantastic that many anglers simply can’t get enough of it. Don’t believe it? 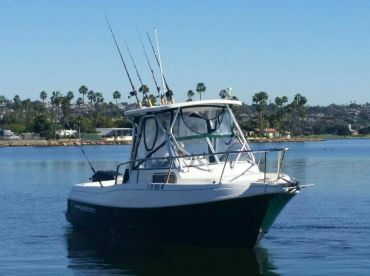 Come aboard for a day and hit the offshore fishing grounds just outside of San Diego Bay. If the boat is fast enough, you can also make your way south to the Coronado Islands in Mexico. 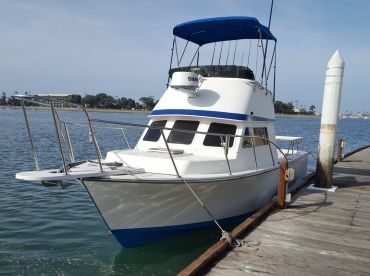 Or make a run to the Catalina and San Clemente Islands to dabble in some excellent deep sea fishing. Whichever you choose, you’ll be hooked from the start. 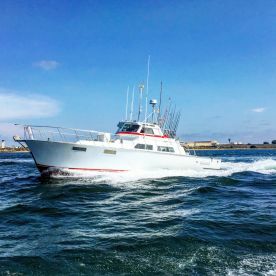 Fishing from spring through fall allows you to target pelagic game fish like White Seabass, Barracuda, Yellowtail Amberjack, Mahi Mahi, Bonito, Calico Bass, Tuna, Marlin, and monster Sharks. 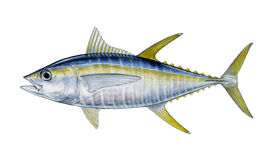 Yellowtail and Barracuda are the first to reach their peak season in spring, followed by Mahi Mahi, Marlin, and Tuna in summer. 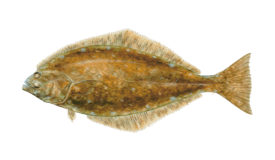 Meanwhile, winter is all about Rock Cod, Sand Bass, and a variety of bottom dwellers, including Lobster. Rockfish species typically open to harvest in spring, and the season runs until the end of the year. All in all, it’s hard to pick a bad time to cast lines around here, but it’s certainly best to come aboard in summer and fall for the widest variety. Offshore fishing employs many methods, but you can expect to spend much of your time trolling and bottom fishing. 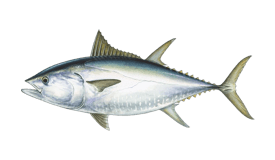 Trolling lures, live bait, or cut bait will help you catch any pelagic species from Mahi Mahi and Tuna to Thresher Sharks. Bottom fishing near reefs and rocky structures produces Rockfish and other species near the seafloor. Fly lining live bait is a popular method for catching Yellowtail, Barracuda, Bonito, Calicos, and White Seabass. This tactic involves fishing without a weight so that the bait can swim freely. Anchovies and Sardines are choice bait selections.